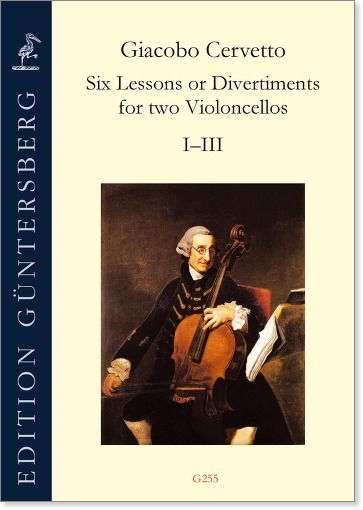 The native-born Italian Giacobo Cervetto went to England in the 1730s, where he became a famous cellist. He published numerous chamber music works that are still popular among cellists today. 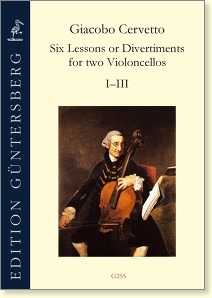 The duets published here for the first time in a modern edition constitute an important enrichment of the cello repertoire. They represent the transitional period between the Baroque and Classical eras in which the cello developed from a bass into a solo instrument. These duets arouse the joy of playing and do not make unreasonable technical demands on the players.